Prayers for success and prosperity for February 7. When we dwell in Christ, we are named success and we dwell in the city of light which is the city of success and prosperity. Let’s tell God to make us successful and dwell in the city of success – say success and prosperity prayer. The secret of dwelling in the city of success is the word of God. When you do all that is written in it like God commanded Joshua, you will surely have not just an ordinary success, but a “good” success. Dwelling in the city where success abounds also bring forth good things alongside such as prosperity. The summary of Psalm 1 is that anyone who does not dwell in the place of sinners but dwells on the word of God shall be made prosper. Dwelling in the city of success also will make the plans of God to be made manifest in you. Jeremiah 29:11 “For I know the plans I have for you, declares the Lord, plans for welfare”. For that promise of a better ending to happen in our lives, we must dwell in that city, the city of success. We read the word of God to stay in that city. We try all our best but in the course of the day some kind of situations arrive that shake us. They move us from the city and failure sets in. What we must do is that we must bear in our mind that we are unmovable and we dwell in Christ the chief cornerstone, the pillar we hold unto, and then, we can’t be moved and we will experience good success. Dear Father, help me to focus on your word that I may have success in all I do. I want to dwell in the city where there is success, that’s in Jesus. I ask for the grace to be successful today. In my business, job, or education, help me to be successful. 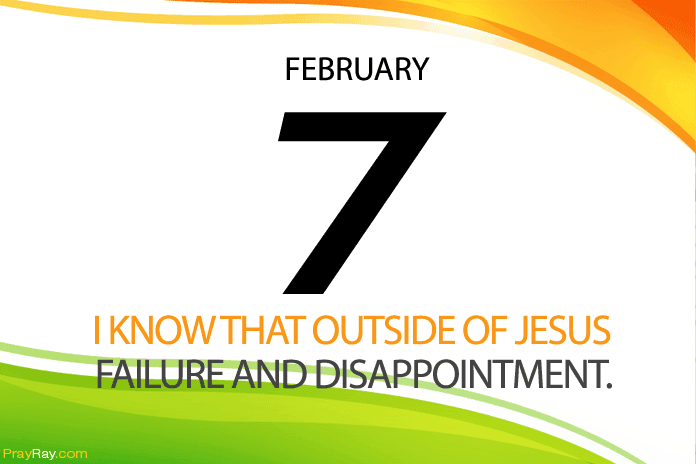 I know that outside of Jesus, there is failure and disappointment that’s I have decided to stay in you. Lord help me today. Amen.